Artists and designers are often celebrated for their masterpieces, but such creations are never possible without the masterly craftsmen who work behind the scenes, getting their hands dirty to bring their creative visions to life. We put a spotlight on the unsung heroes of the industry, in particular, a metal casting factory that (from its inception till today) uses an ancient crafting technique, and boasts a steep history as a major player in Italian high craft. At the heart of Milan lies Fonderia Artistica Battaglia. 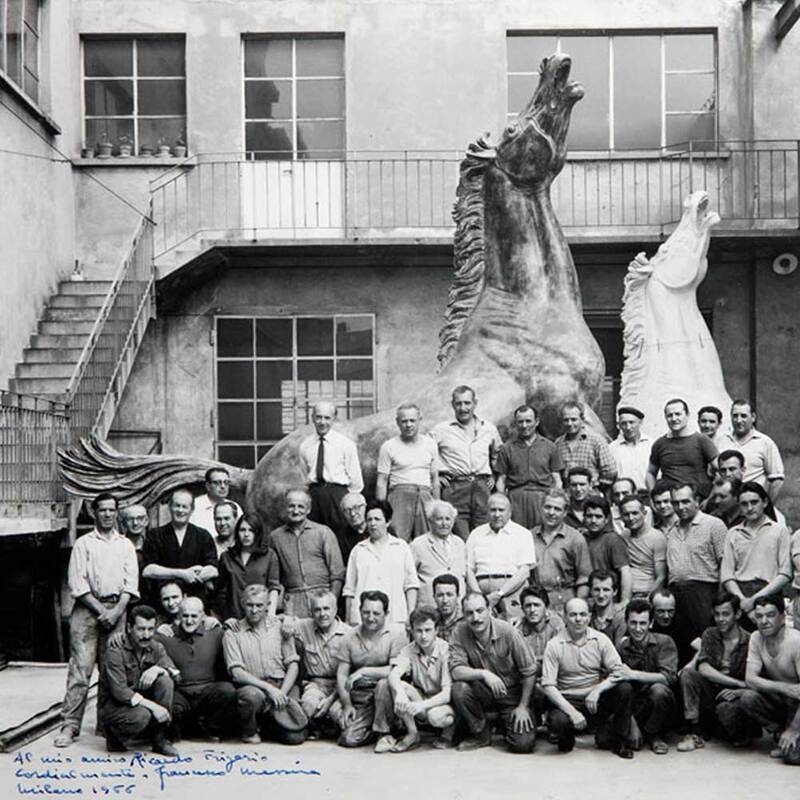 Opened in 1913 by a trio of founders (Ercole Battaglia, Giulio Pogliani, and Riccardo Frigerio), it is the oldest artistic bronze foundry in the world. Step into its rustic, 1,500 sqm workshop, and it’ll feel like you’ve travelled back in time to a place unmarred by modern technology. Home to a close-knit crew of (mostly male) artisans and metalworkers, everything here is done by hand. 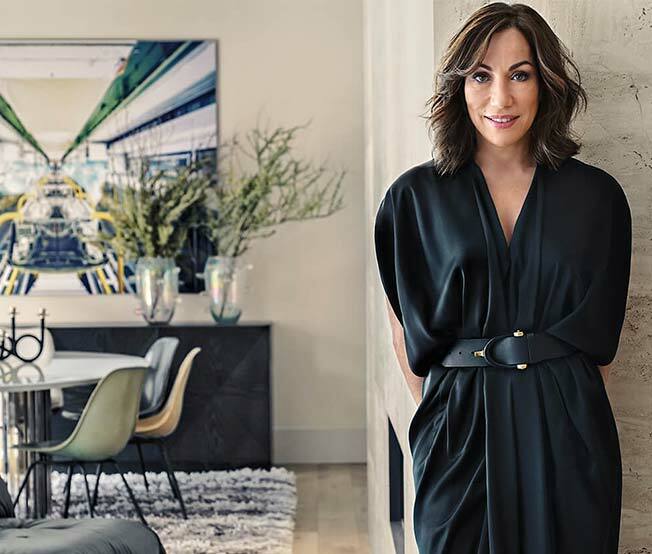 Camilla Bonzanigo, the foundry’s head of culture and development, referred to it as “the intelligence of the fingertips” in an interview with online magazine Ignant. The only electrically powered machine you’ll find here is the branding oven. For more than a century, it has stayed committed to the complex, manual method of casting sculptures with lost wax, a technique that dates as far back as 5,000 years ago. Preserving the authenticity of this ancient art form, the foundry prioritises excellence in craftsmanship over technical and economic convenience to produce luxury showpieces of the highest calibre. Bonzanigo called lost wax casting a “process of positive and negative”. It is an analogue technique that takes the original model created by the artist, and hand-presses a mould onto it to create a negative cast. Hot wax is then poured into the mould. Once cooled, it creates a positive wax cast of the sculpture, that’s reinforced with a solid core. 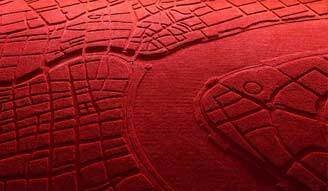 Despite being only 5mm thick, the wax remains exceptionally flexible and is capable of capturing the most intricate textures in precise detail. Some works of art the foundry has produced include the majestic 1935 Campari Tomb belonging to the Campari family, and the exquisitely intricate bronze door of the Milan Cathedral – both of which are created by the renowned Italian sculptor, Giannino Castiglioni. Artists such as the likes of Arnaldo Pomodoro, Lucio Fontana and Kengiro Azuma have also collaborated with Fonderia Battaglia for their iconic bronze sculptures. 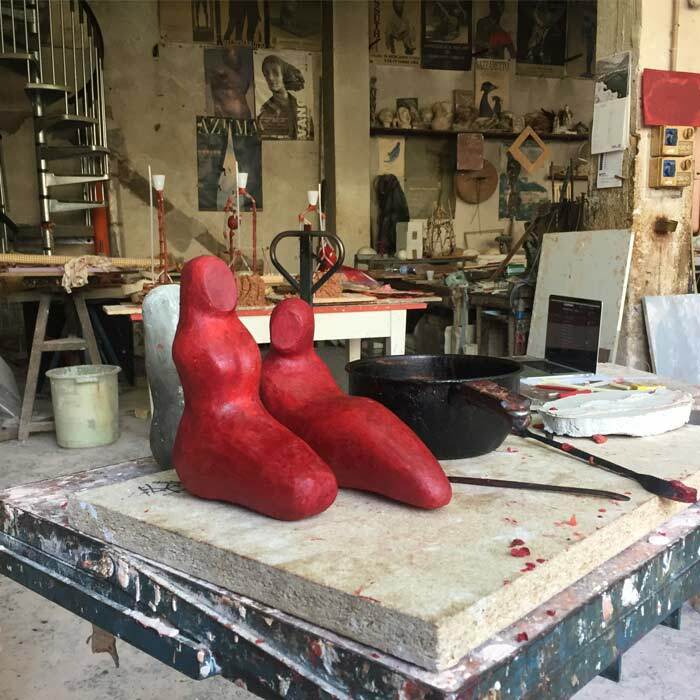 Besides creating and casting models for artists and design studios all over the world, Fonderia Artistica Battaglia has also been involved with restoring artefacts and monuments from the 19th and 20th century. For instance, it has worked on the Byzantine horses of Saint Mark’s Basilica in Venice, as well as a towering, gilded sculpture of Our Lady of Grace from Trento, Italy. Fonderia Artistica Battaglia has collaborated with generations of high-profile sculptors, both local and international alike. While it has an impressive portfolio of historical, classical monuments, it’s also brought its traditional techniques into the 21st century with contemporary furniture designs. A young, prominent Milan-based designer the foundry has worked with is Roberto Sironi, whose works of profound beauty combine historical research with a contemporary interpretation. 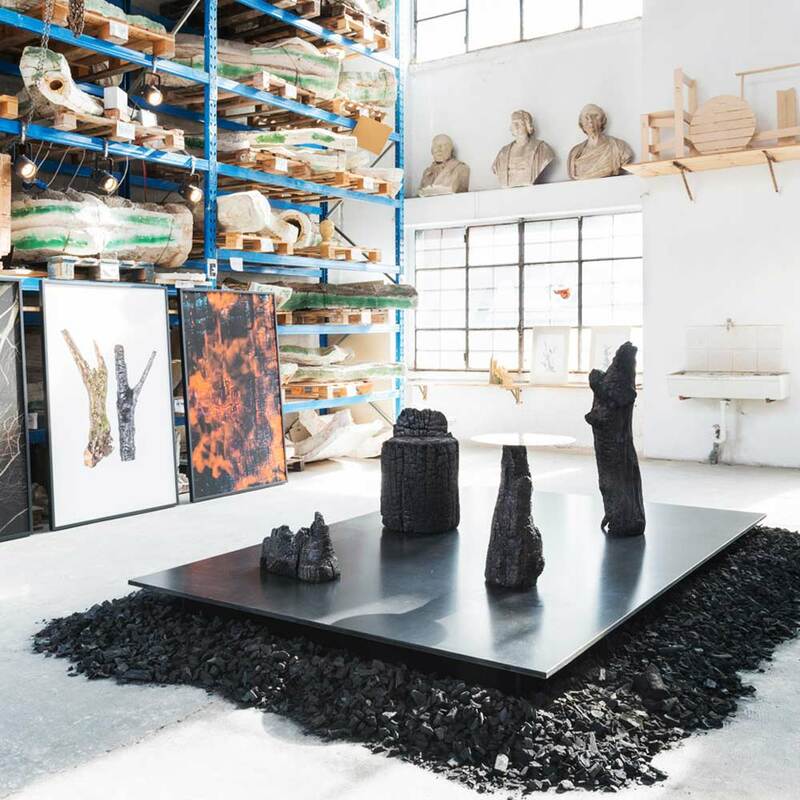 His latest collection, FUOCO, takes chunks of wood from the mountains that have been burnt and disfigured, and turns them into avant-garde statement pieces in decor. Developed with the foundry and the high-end Parisian Gallery S. Bensimon, FUOCO features a range of highly textured, sculptural furniture and home accessories. 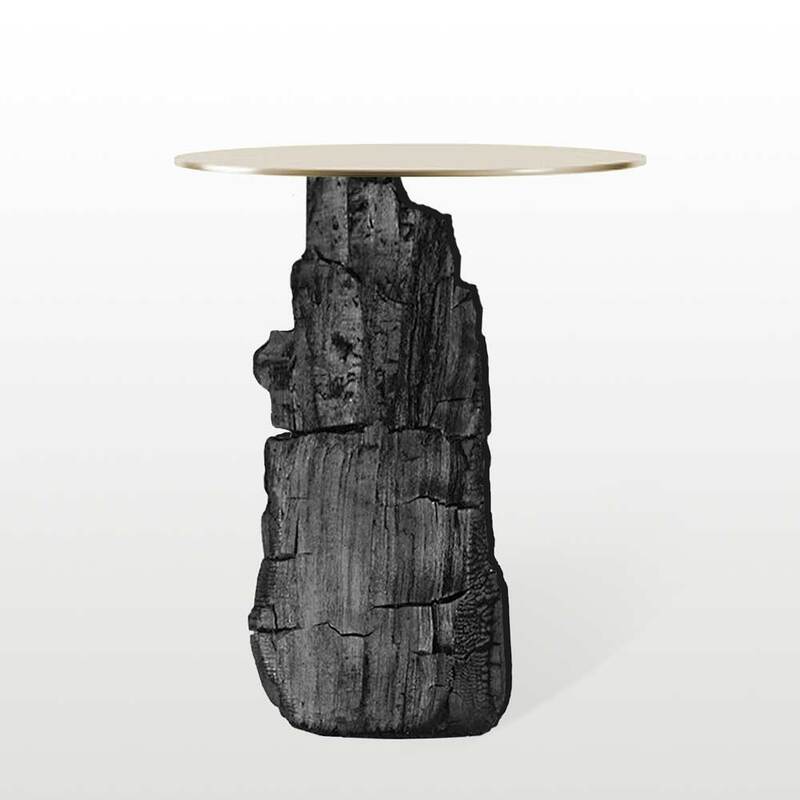 Among the highlights are a side table that juxtaposes its minimalist top with the irregular shape of its bronze trunk base, and a cedar log turned into a chair, whose flaws have been elevated into art through bronze casting. A simple three-pronged oak branch is also given new life as a candle holder with copper accents. 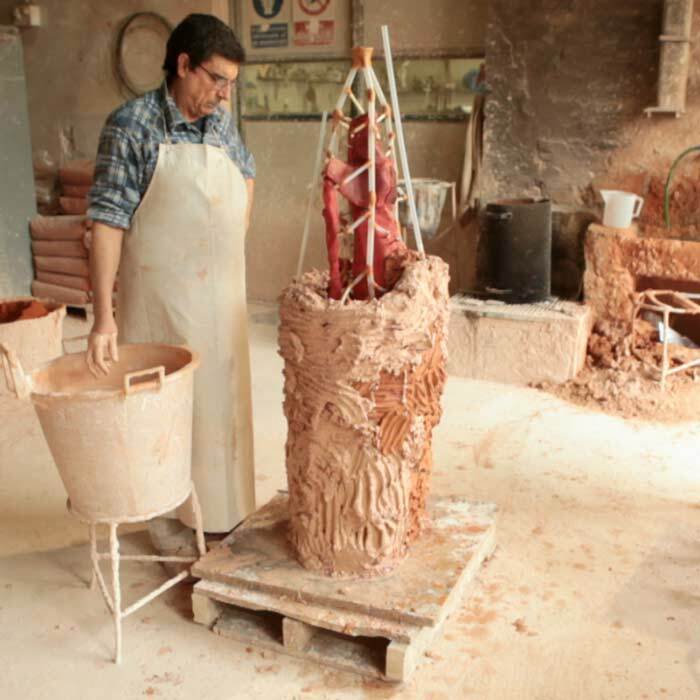 TToday, multitudes of artists continue to rely on Fonderia Artistica Battaglia to craft their masterpieces. Beyond that, the foundry has also expanded into offering artist residencies, workshops, as well as exhibitions to promote up-and-coming designers in the scene. Research has also become an intrinsic part of the organisation. Not only has it developed an archive with more than 150 patina samples, it has also established a laboratory for the discovery of new bronze-related techniques. 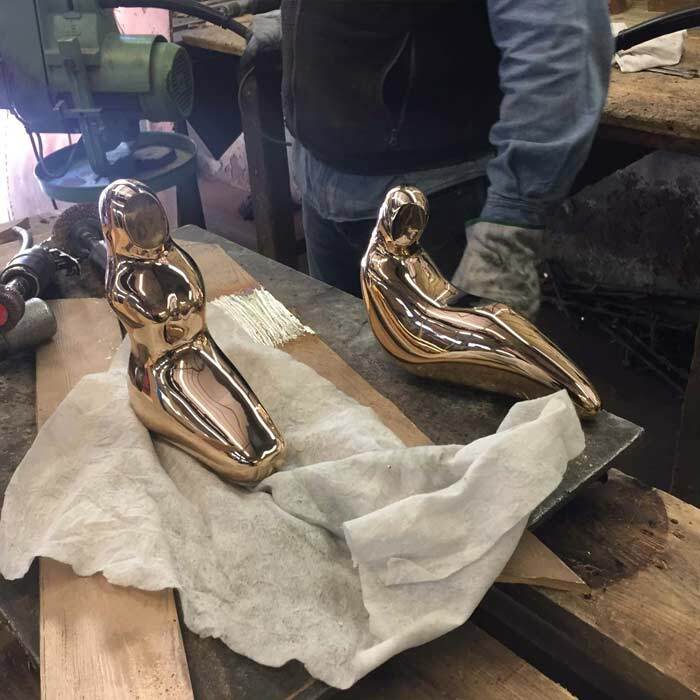 More than just a metal casting factory, Fonderia Artistica Battaglia is a space of innovation that is devoted to carrying an ancient legacy to future generations of bronze smiths, and catering to the cream of the crop in art and design. This entry was posted in Behind the Scenes . 幕后的故事. Bookmark the permalink.